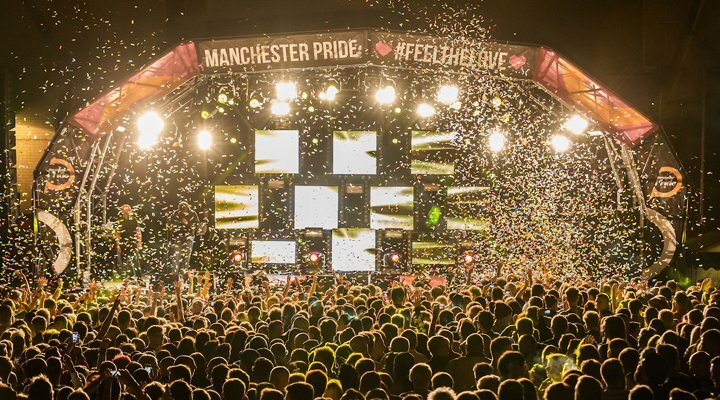 In an attempt to open up pride to all, Manchester Pride will release 300 day tickets for the Big Weekend, priced at just £5 and available exclusively to Greater Manchester residents who are undergoing financial hardship. The limited reduced price tickets are for individuals in the local community who cannot afford to purchase a standard ticket. The reduced £5 ticket price will go directly to the Manchester Pride Community Fund, which supports charitable and community groups in the region. ‘This year’s Manchester Pride Festival is all about LOVE and we want everyone to have the opportunity to be a part of it, regardless of their financial status,’ said Mark Fletcher, Chief Executive for Manchester Pride. The idea for the 300 discounted tickets came from one of the Manchester Pride Community Collective meetings. The meetings were formed in response to calls for greater community participation in pride and provide opportunities for individuals from community organisations and groups to act as an advisory body for inclusion at Manchester Pride. Manchester Pride, through its community grants schemes, raises money for LGBT+ and HIV charities and projects within Greater Manchester. It is one of the only UK Pride events to consistently do so and has raised over £1.1 million since 2003. Last year’s Manchester Pride raised £34,000 for good causes – half of which went to the George House Trust and the Lesbian & Gay Foundation, with the other half going to smaller non-profit groups and charities. The previous year it raised £52,000 and in 2011 it raised £105,000. As a direct result of this decline in charitable funds raised, which it partially attributes to weather and a difficult financial climate, Manchester Pride has increased the number of fundraising activities it undertakes – including this scheme for discounted tickets and the Supersonic fundraiser held at the Concorde Hangar at Manchester Airport. Over £12,000 has been raised so far – excluding ticket sales. It is thought that £17-22 million is brought into the local economy each year by Manchester Pride. In 2011, however, Manchester City Council cut its contribution to the pride parade by £32,000, despite increasing the annual costs to Manchester Pride for running the event. Details of how to apply for the tickets are here. For more information visit the website at ManchesterPride.com or follow the charity on Twitter @manchesterpride.